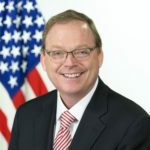 The American Bankers Association announced today that House Financial Services Committee Chairwoman Maxine Waters (D-Calif.) and Kevin Hassett, the chairman of the Council of Economic Advisers at the White House, have been added as keynote speakers at the ABA Washington Summit. 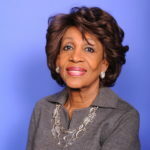 The American Bankers Association announced today that House Financial Services Committee Chairwoman Maxine Waters (D-Calif.) and Kevin Hassett, the chairman of the Council of Economic Advisers at the White House, have been added as keynote speakers at the ABA Washington Summit, to be held next week in the nation’s capital. Both Waters and Hassett will speak on Tuesday morning. Donna Brazile and Mike Murphy. The Summit is the largest annual gathering of banking leaders in the nation’s capital, giving bankers a unique opportunity to advocate for meaningful changes that grow the economy and give bank customers more choices. Registration is free for bankers, bank directors and trustees and ABA service members. Attendees are also encouraged to register for ABA’s Mutual Community Bank Forum, Emerging Leaders Forum and Women’s Leadership Forum, all of which are held in conjunction with the Summit.